Spring officially started here last week and it has snowed twice since then. 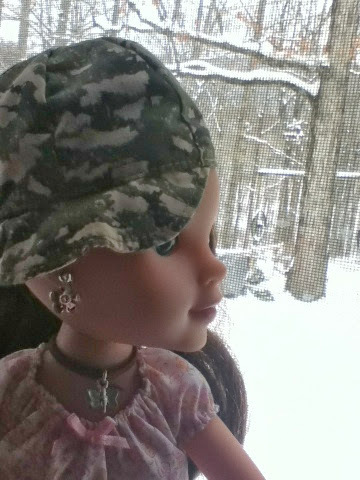 The snow has finally melted and it suppose to be warmer next week. 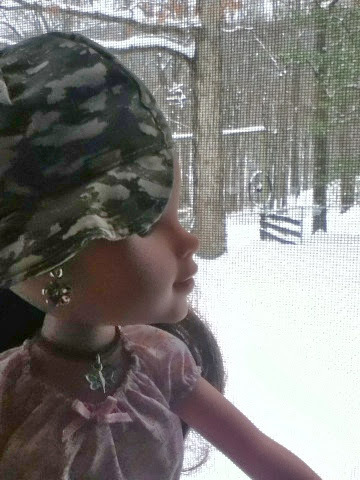 In celebration I want to share some photos of Hearts4Hearts Girl Dell looking out the window at the snow earlier this week.